Women whose husbands receive a diagnosis of prostate cancer are often the ones who swing into action, research treatment options, advise their husbands, and offer emotional support before, during and after treatment. And unlike wives of husbands who may be fighting heart disease or diabetes, couples confronting prostate cancer face a delicate dilemma since the man’s ability to be sexually intimate with his partner may be compromised. Some treatments may also render the man incontinent, forcing him to wear an adult diaper for an extended period or even for the rest of his life. Three women, Sharie, Gail and Nancy live in different cities and have diverse careers, but they each became instant caregivers and experts in prostate cancer therapies when their husbands received the troubling diagnosis. And each couple chose a different procedure. Sharie, who works at a Colorado bank, dug up so much information about the disease she ended up creating a spreadsheet to keep track of all the pros and cons for the treatments available to her husband of 27 years who was diagnosed with localized prostate cancer at the age of 56 in 2016. Besides learning about levels of PSA (prostate-specific antigen) as well as Gleason scores which are both used to assess the severity or risks of prostate cancer, Sharie and her husband Les were concerned about the side effects of several treatments. The couple ruled out active surveillance, or “watchful waiting,” to monitor the progress of the prostate cancer – which often grows slowly in certain men – because her husband’s PSA levels were rising and a biopsy revealed a tumor. They also decided against radiation, cryotherapy, and radical prostatectomy because of concerns that the potential side effects from those treatments could have a major impact of the couple’s active lifestyle. Instead, they opted for high intensity focused ultrasound (HIFU), a procedure in which a urologist directs ultrasound waves at precise points in the prostate to “ablate” or burn only the diseased tissue. Since the FDA cleared HIFU for “prostate tissue ablation” in 2015 urologists in the U.S. are increasingly offering it to their prostate cancer patients who qualify, and the procedure has been successfully used in Europe and around the world on more than 50,000 men. Consistent with international studies that show the risk of impotence and incontinence are greatly reduced for HIFU patients, Sharie reports that her husband did not suffer those side effects after his procedure, was sexually active shortly after treatment and back at work within three weeks. When Nancy’s husband got his diagnosis of prostate cancer in 2000 at age 63, options such as HIFU were not available in the U.S. Nancy lives in Northern California, and, like Sharie, she did extensive research. 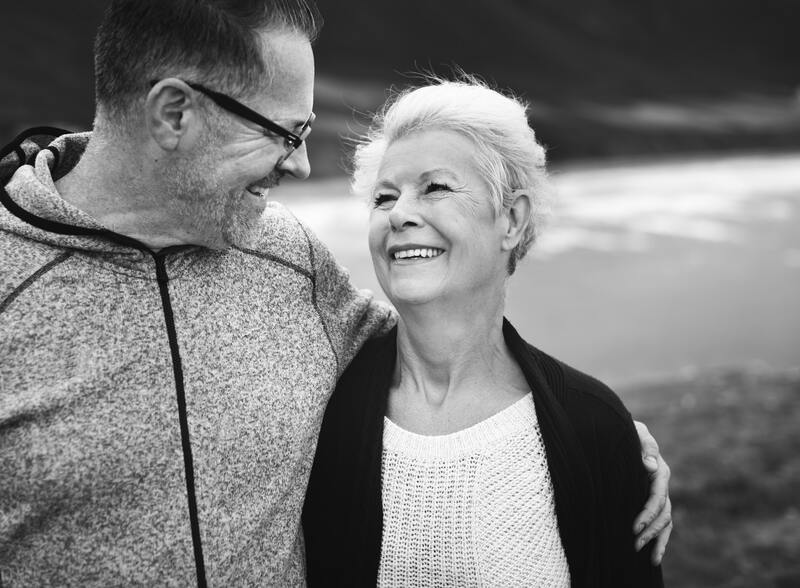 She and her spouse considered radiation as well as radioactive seed implants (brachytherapy) – but the urologist recommended radical prostatectomy because the biopsy showed the cancer to be a very high grade despite a somewhat low Gleason score. While the surgeon told Nancy and her husband that they had made the right decision, the recovery process was not easy. Nancy’s husband would not return to work for three months and was hooked up to a catheter for the first few weeks. Though the incontinence eventually diminished, he is still managing it today and has to avoid lifting anything heavy. Nancy’s husband was also affected by erectile dysfunction. She and her husband experimented with using Viagra, but the drug proved little help. Gail’s husband opted for radiation and experienced both incontinence and impotence afterwards. Although his prostate cancer did not metastasize, his PSA levels kept going up. Eventually he enrolled in a clinical trial, but the treatment failed and an enlarged prostate put pressure on his urinary bladder. He was forced to wear a catheter for the last three months of his life. Ultimately he died of kidney failure due to complications of his prostate cancer. Looking back on the experience, Gail says one thing she would have done differently would have been to talk to other women whose spouses had gone through the prostate cancer journey – because it is important to share information and find support. When Nancy’s and Gail’s husbands went through their treatments, focal therapies like HIFU, which target and ablate only the diseased tissue and spare the prostate, were not available. Still, the three women each agree, research all available treatments and weigh the pros and cons before making a choice.